Watching consecutive arrows dart across the sky and strike the bullseye, I must say, the young lady’s archery skills impressed. Her name is Soelma and I couldn’t help but notice the poised archeress in a long green Buryat degel (robe) and matching malgai (hat) cooly unleashing her missiles. Green is Soelma’s favorite color, and as you can see, she makes green look good! (Green is my fav too!) I don’t know a whole lot about archery, much less Buryat archery, so I asked Soelma if she explain archery while telling me a bit about herself. Soelma was competing at Altargana, an biannual international Buryat festival, held this year in Ulaanbaatar, the capital of Mongolia. At fifteen years of age, she has competed for three years, and won national champion of Russia in her age class in 2009! She competes in both traditional Buryat archery, and modern archery, so look for her at the 2012 summer Olympics! Stepping up to the line, Soelma would draw and fire almost immediately in one smooth action. I never saw her miss the bullseye! 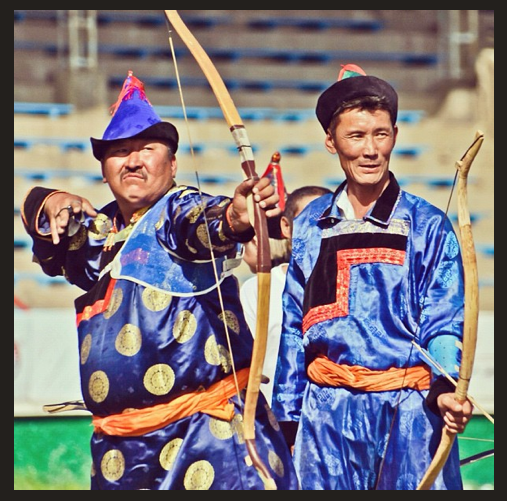 In Buryat Archery, you get a total of sixteen arrows, eight of which you fire from thirty meters and eight from forty-five meters. You actually fire at color coded, weighted bags that are lined up in a row on the ground. The arrows have special blunted tips made of wood. Soelma’s bow cost the equivalent of five hundred US dollars, and that is a lot of money for the income level here. Soelma told me she studies at a school in Arshan. 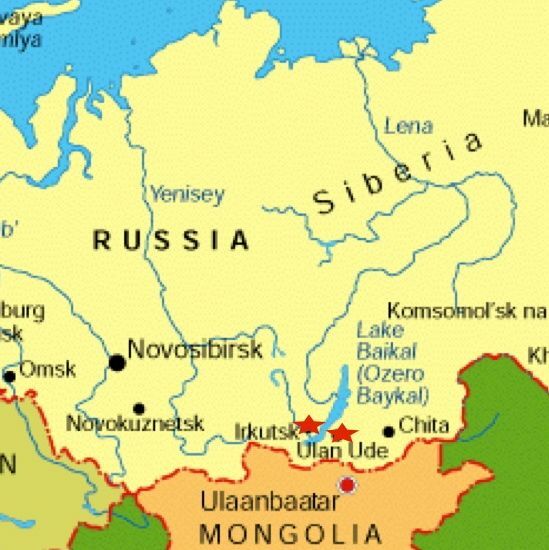 Arshan is in the Tunka Valley, a steppe valley overshadowed by the jutting Sayani mountains. This valley is in the Tunkinski region of Buryatia a place both magical and severe. Soelma will continue competing in archery, but also would like to pursue a career in politics, or work at a bank. Thank you Soelma for taking time to speak with me, it was a pleasure and I wish you much success in your future! 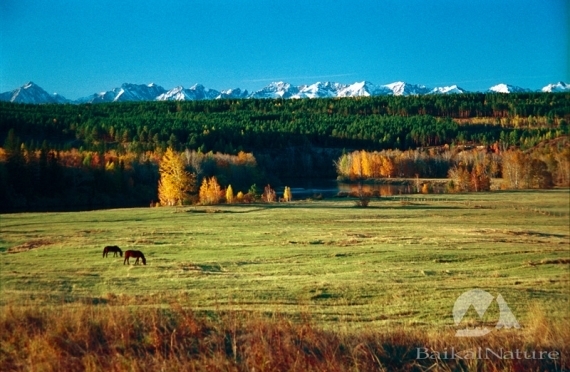 View of the Tunka Valley courtesy Baikal Nature. 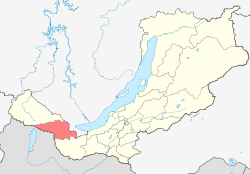 Tunkinski Region, part of Buryatia. I am actually following her on Twitter now! Her username is @SSoelma. I will have to learn some Buryati soon! What? Are you sure it’s her? I will have to go and see! Dangarang! You are right, she is on Twitter!